Having worked in social media for a year, I consider myself to be pretty Twitter savvy. I know my #ffs from my #tbt, and I’ve got retweeting totally down. I also know a little bit about how to build a following and what kind of content to be posting. But I have got nothing, NOTHING on Miss Antonia Mariconda. 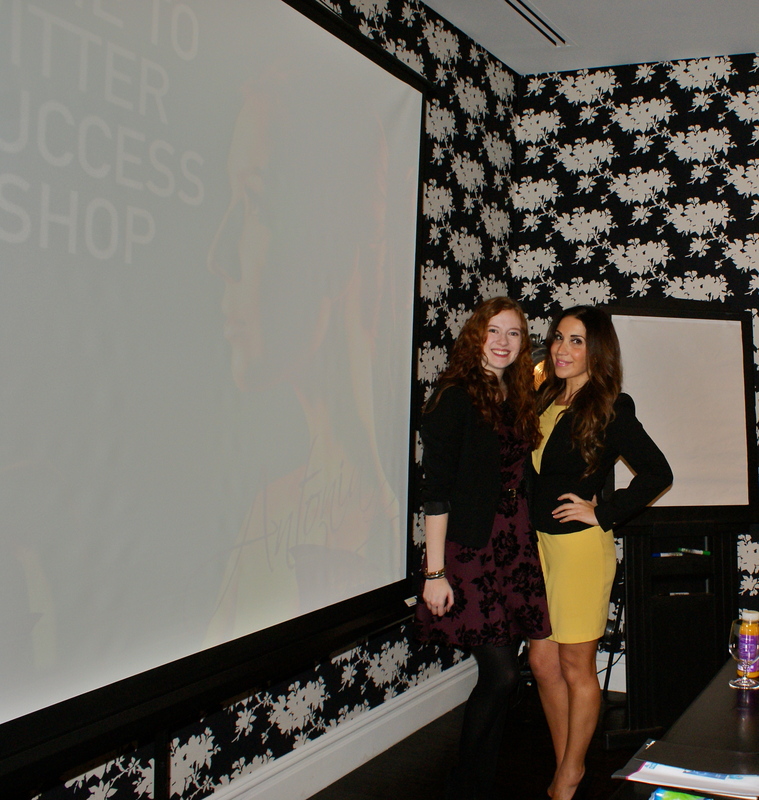 I met Antonia at her Build A Beauty Blog workshop last month and she was lovely enough to ask me to come review her Twitter for Success workshop. Note to self: learn how to pose to avoid enormous moonface. Stop licking your screens, I’m not giving you her mobile number. Say what you like about Antonia (although it better be nice or I’ll fight you), but she puts on one heck of a spread. I arrived at half past nine to a table laden with baked goods, colourful fruit and delicious raw juices. Take note everyone, feed me and I might get out of bed for you too. The room quickly filled up with people and chatter, everyone excited to hear the holy grail of social media marketing revealed. 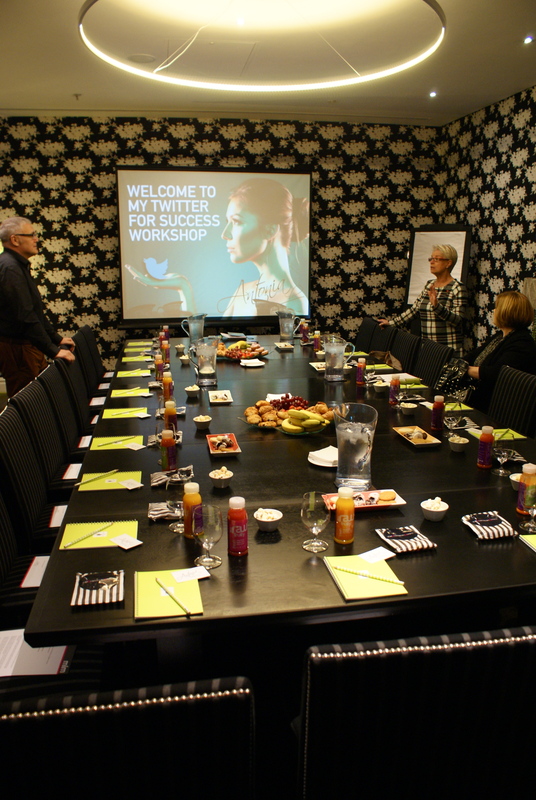 The workshop soon got underway and the three hours absolutely flew past. 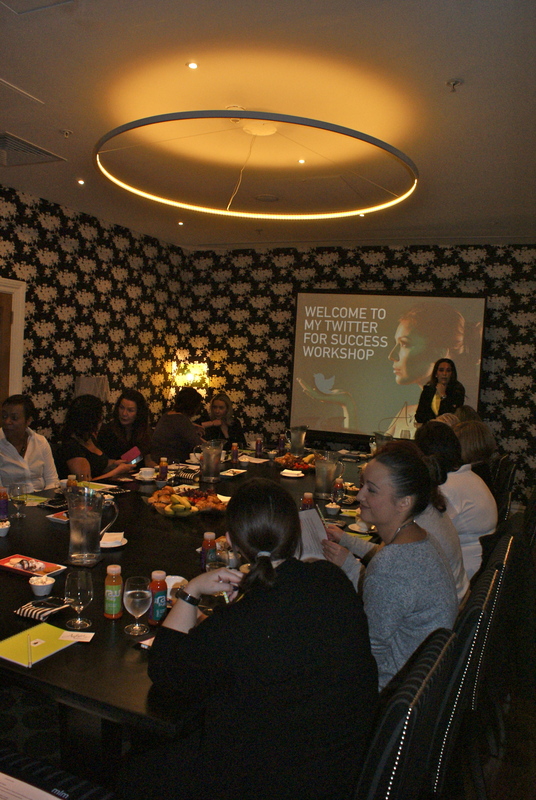 Ranging from hilarious anecdotes to tips that we could immediately put into practise, Antonia’s presentation was a whirlwind tour of everything you ever needed to know about Twitter. We found out how to grow an audience, how to post 100 tweets a day, why you should never get involved in Twitter mudslinging and so, so much more. Despite having a massively diverse audience in terms of Twitter experience and ability, she catered to every single one of us and managed not to alienate anyone. Whether you were trying to get your head around retweeting or trying to get more engagement from your ten thousand followers, her advice was relevant, useful and instantly implementable. Sadly, this was Antonia’s last workshop of the year, but a little bird told me that she has very exciting plans for the New Year and I’m hoping to be learning more from her again soon. On a personal level, I am so, so grateful that somebody as successful as Antonia is taking the time to care about a little startup blog like mine, just because she likes the way I write. She knew a huge number of the workshop attendees by name, greeted all of us like old friends and repeatedly stressed how happy she was to offer help and be used as a resource. Technical wizard Mark and PR guru Jenny were equally awesome and forthcoming, and Mark has been extremely lovely despite receiving an email from me regarding self hosting that essentially amounted to “I HAVE NO IDEA WHAT I’M DOING OH GOD HELP ME”. Instead of casually issuing a restraining order, he has taken the time to help. Seriously, the world needs more people like that and I feel really lucky to have met them. Just like the last workshop, I left feeling excited, energised and with a to do list as long as my arm. If you get the chance to see Antonia speak, please, please do go along. It’s not even an exaggeration to say that in two workshops, she might have changed my life. 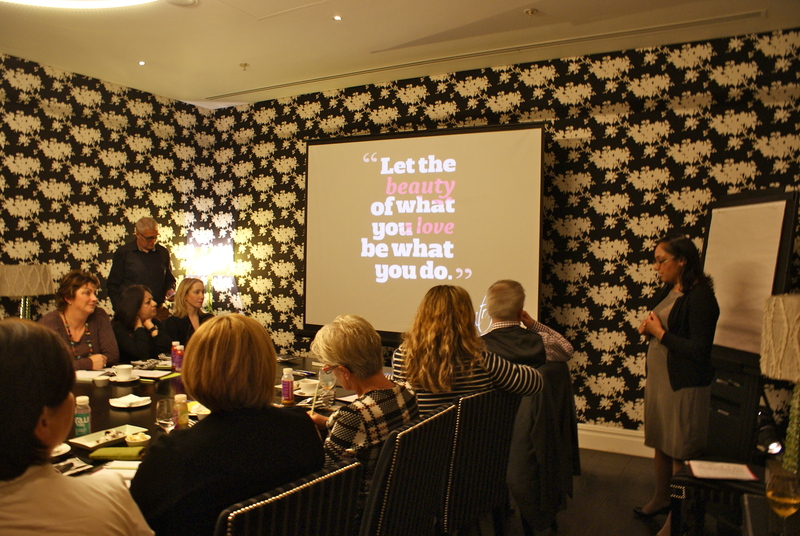 Have you been to one of Antonia’s workshops? Who inspires your blogging? Get in touch in the comments or at @EscapologistGl. *I was gifted a ticket to this event for the purposes of review. All opinions are completely my own and completely truthful – promise!